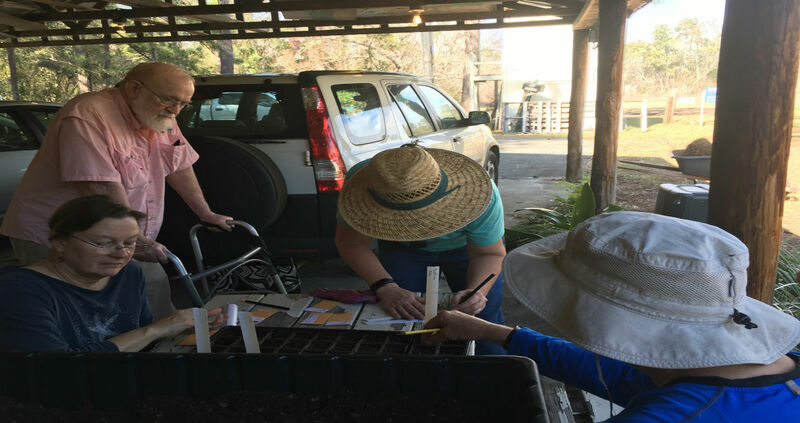 The Master Gardener students are in week #5 of their 15-week curriculum. During week #4 they learned about getting the spring vegetable garden ready. This includes knowing which plants will do better when the weather starts getting warmer in late February. Some plants that will do well in the spring garden include corn, cucumbers, peppers, southern peas, squash, and tomatoes. Garden beds at the Extension Office have been tilled and we have some late winter vegetables emerging – spinach, greens, and rutabagas. With the warmer weather and rain the first part of the year weeds are also emerging! Jonathan K and Douglas P spent some time last week weeding the beds and thinning the rutabagas. (Include picture here) Students will plant potatoes the week of Valentine’s Day. 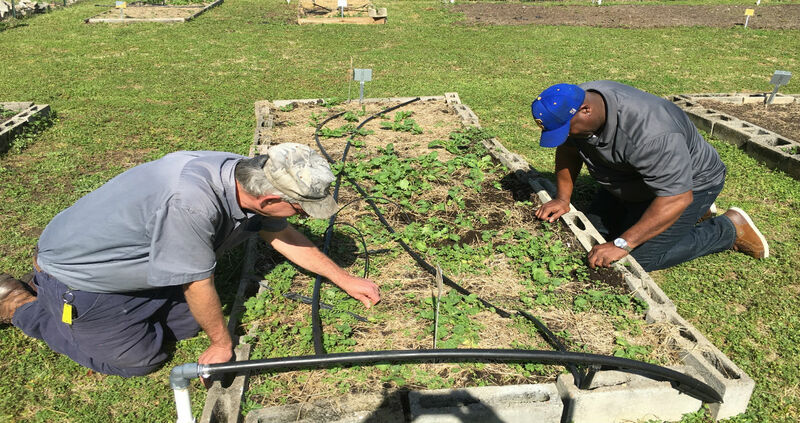 Team leader for the vegetable garden, Chris H, is still working on what we will plant in the remaining beds to round out our spring garden. 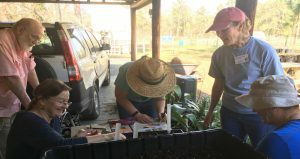 All Master Gardeners are busy propagating plants for the Spring Plant Sale. Some of our students helped after class by planting wildflower seeds. (I have two pictures to insert here). 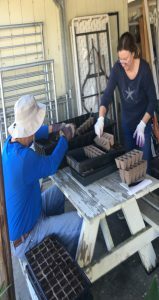 The students filled planting trays with potting medium and wet the soil before adding 2 seeds to each cell. For tiny seeds, they lightly pressed the seeds into the soil. For larger seeds, the students used a small dowel to push the seed into the soil no more than twice its diameter. 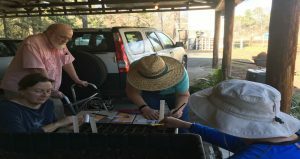 We also did an inventory of plants we have on hand, and set up a schedule to water the pots and keep them free of weeds. Some plants we have on hand include: several varieties/colors of tropical sage, small red bud trees, American beauty berry, coral bean, agave, giant liriope, woodland ferns, and cast iron plants. In future weeks we will include a list of plants with pictures. If there are any plants you hope to find during our plant sale, please send us a comment. If any of the Master Gardeners is able to propagate the plant from our own garden we will do our best to include this among the sale items.